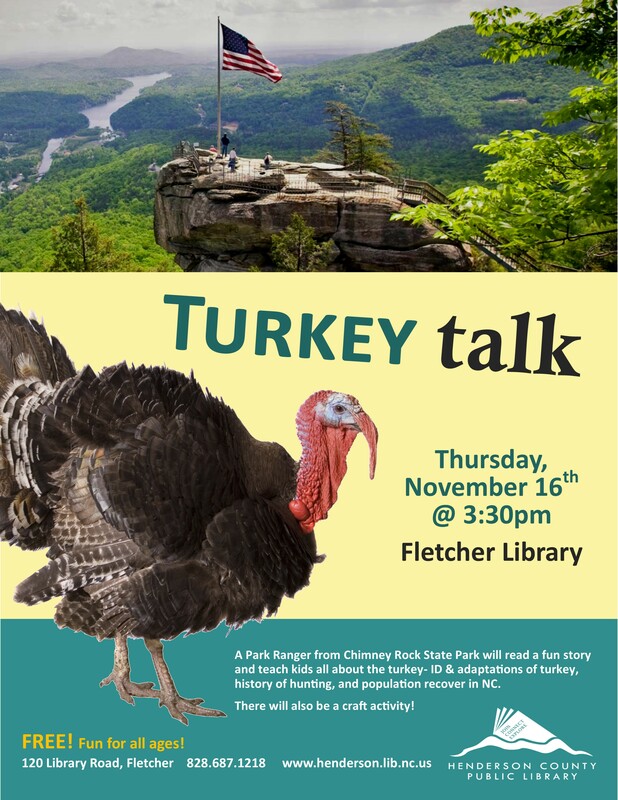 A Park Ranger from Chimney Rock State Park will read a fun story and teach kids all about the turkey- ID & adaptations of turkey, history of hunting, and population recover in NC. There will also be a craft activity! 11/16 3:30-4:30.